How Honest Is Too Honest In The World Of Online Dating? Online dating, like any other kind of dating, can be a balancing act. This is never truer than when it comes to how much to open up to a new match online. Revealing too much, revealing too little, it can be tricky to walk that fine line between not overwhelming a stranger with information, but not opening yourself up to accusations of deception. 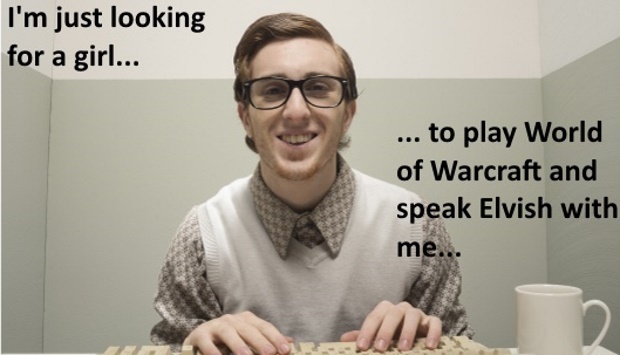 Join us while we take a lighthearted look at the Do’s and Don’t’s of online dating, honestly. The first thing to ‘fess up about is your expectations for meeting someone online. If you’re busy sifting through profiles on a website like BeNaughty it may be more obvious that you’re not looking for something serious. But you can never know the thoughts and feelings of the person on the other end of your so called casual interest. Especially on online dating websites with a broader user-base, like Match.com you will find singles looking for casual encounters, and also those looking for long-term commitment. Make sure to be upfront in your profile or initial conversations about what you’re looking for, or you may end up breaking some hearts along the way. Remember that as honest as you might be about what you’re looking for, some people may have less scruples. It’s worth being wary about someone who ticks too many of your boxes right away, or seems reluctant to answer as many questions as they are asking. 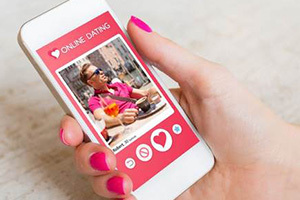 The internet is full of horror stories of terrible first dates, and we believe it’s all about using the excellent communication tools provided on the best online dating websites before you launch into meeting someone offline. Websites like Elite Singles have great matchmaking tools and vet their users thoroughly, so that you can be sure Mr or Mrs Right are giving you all the information. If you’re naturally more cautious, find a dating website which offers more than just text communication. POF for example offers live chat and video, so you can see exactly who you’re talking to. We would always recommend that where possible you go from inbox messaging, to live chat, and then audio and video before making an offline date, both for safety reasons and for ensuring you have some chemistry before you take the leap off the screen and into real life. Of course most people are genuinely looking for the right match, whether that’s for something casual or more long-term. If you go online expecting lies and dishonesty, you will miss out on so many amazing new people and experiences. Make sure to read the safety tips on whatever site you’re using, especially if you are new to online dating. Once you feel clued up, you will be in a better place to drop all that fear and enjoy all the features with confidence. Remember, there’s a difference between lying, and simply holding back certain aspects of your history or interests when you make that initial connection. Be up-front about the basics, as there is little point pretending to be a size 10 if you’re actually holding 50 extra pounds of baby weight, or saying you love the great outdoors to a get the attention of a hiking enthusiast when you’re actually the world’s most comfortable couch potato. Past that point, there is definitely such thing as sharing too much too soon. As a general rule, think of meeting online as having the same unwritten rules as meeting offline. You wouldn’t introduce yourself in a bar with your worst habits or old relationship baggage would you? We hope not! So take some time to think about how to present your best self without creating a false impression, and make sure to relax. With almost 1500 online dating websites in the UK alone, we guarantee there is someone out there for everyone. Honest. Want your intentions to speak loudly from the outset? Try a niche dating website like Christian Mingle to find a pool of singles who want exactly what you do!